We study the average-case learnability of DNF formulas in the model of learning from uniformly distributed random examples. We define a natural model of random monotone DNF formulas and give an efficient algorithm which with high probability can learn, for any fixed constant γ> 0, a random t-term monotone DNF for any t = O(n 2 − γ). We also define a model of random nonmonotone DNF and give an efficient algorithm which with high probability can learn a random t-term DNF for any t=O(n 3/2 − γ). 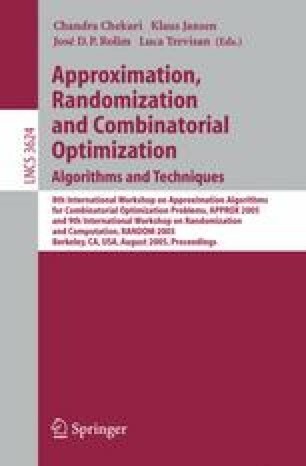 These are the first known algorithms that can successfully learn a broad class of polynomial-size DNF in a reasonable average-case model of learning from random examples.